Back in 2007, a major conference was organized at Villa I Tatti (The Harvard University Center for Italian Renaissance Studies in Florence), dedicated to Humanism and early Renaissance art in the Kingdom of Hungary. The conference aimed to give an overview of the field, focusing naturally on connections between Italy and Hungary. In August 2011, the long-awaited volume of the these studies has been published by Villa I Tatti, edited by Péter Farbaky and Louis A. Waldman. The conference, the research trip to Hungary which followed it, and the volume together represent the crowning achievement of the role of I Tatti as "a bridge between Hungary and Florence in the world of humanistic scholarship for three decades" - as emphasized by director Joseph Connors in the Foreword. It also has to be pointed out that in 2008, an entire series of exhibitions and events were organized in Hungary in the framework of the so-called Renaissance Year. Three exhibitions, in particular, have to be mentioned here: the Budapest History Museum organized a large international exhibition dedicated to the rule of King Matthias in Hungary. Titled Matthias Corvinus, the King, the exhibition was accompanied by a large catalogue, also edited by Péter Farbaky with Enikő Spekner, Katalon Szende and András Végh (published in an English version as well). A large number of the participants of the 2007 Villa I Tatti conference also contributed to this catalogue - where naturally actual physical objects are in focus. The two publications thus nicely complement each other. Two smaller exhibitions focused on more special topics: the exhibition at the National Széchényi Library, titled A Star in the Raven's Shadow, was dedicated to János Vitéz, archbishop of Esztergom, and the beginnings of Hungarian Humanism in the middle of the 15th century. 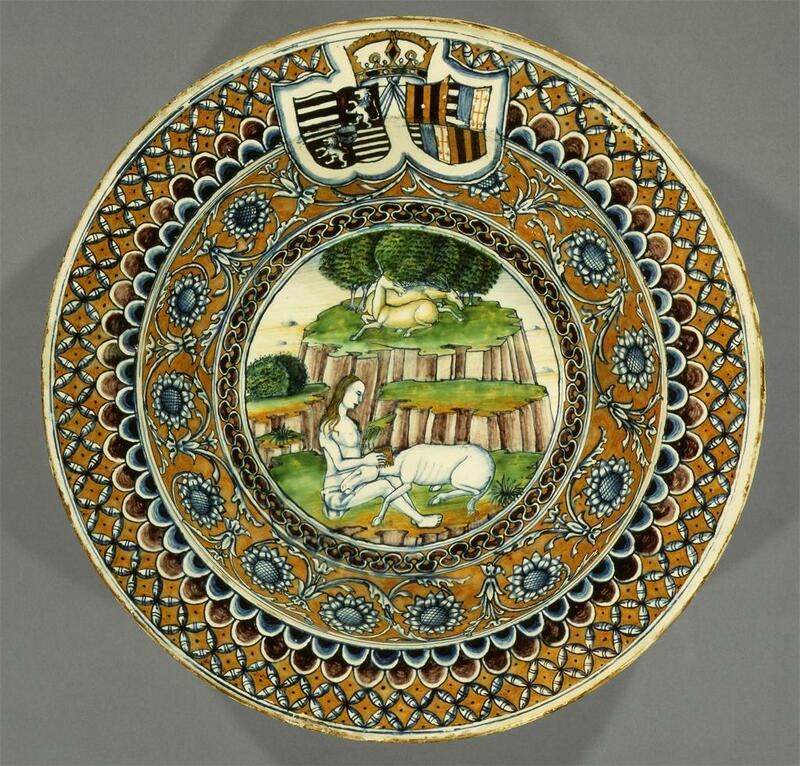 The exhibition of the Museum of Applied Arts - The Dowry of Beatrice - examined the origins of Italian majolica at the court of King Matthias, focusing on the magnificent Corvinus-plates made in Pesaro. (To get the English-language catalogues, search for item nos. 58713 and 113069 at www.artbooks.com). However, the conference organized at I Tatti was the event met with most extensive response. This was largely due to two of the the papers presented at the conference and a press conference held by the Hungarian Cultural Minister in Rome, announcing the findings of these two papers. At the conference, Zsuzsanna Wierdl and Mária Prokopp presented their theory concerning one of the 15th century frescoes at the castle of Esztergom, attributing it to the young Botticelli - a subject I have written about elsewhere on this blog. "In the later fifteenth century, the Kingdom of Hungary became the first land outside Italy to embrace the Renaissance, thanks to its king, Matthias Corvinus, and his humanist advisors, János Vitéz and Janus Pannonius. Matthias created one of the most famous libraries in the Western World, the Bibliotheca Corviniana, rivaled in importance only by the Vatican. The court became home to many Italian humanists, and through his friendship with Lorenzo the Magnificent, Matthias obtained the services of such great Florentine artists as Andrea del Verrocchio, Benedetto da Maiano, and Filippino Lippi. 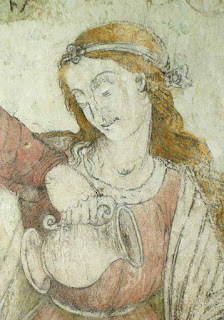 After Matthias’s death in 1490, interest in Renaissance art was continued by his widowed Neapolitan queen, Beatrice of Aragon, and by his successors Vladislav I and Louis II Jagiello. The twenty-two essays collected in this volume provide a window onto recent research on the development of humanism and art in the Hungary of Matthias Corvinus and his successors. 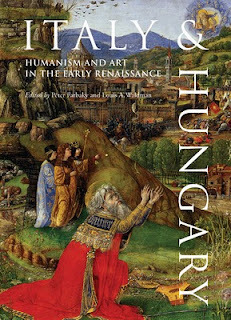 Richly illustrated with new photography, this book eloquently documents and explores the unique role played by the Hungarian court in the cultural history of Renaissance Europe." I would only like to mention a few of the studies from the book. The volume starts with a number of studies on historiography - by Ernő Marosi, László Szörényi, Gyöngyi Török, and Péter Farbaky. The next section is dedicated to tracing the contacts of Hungary with Italian Humanism. The third, and perhaps most substantial section is dedicated to Renaissance art at the court of King Matthias, in particular to questions concerning the library of Matthias. As I already outlined here before, a lot of new research has been dedicated to this famous library, and thanks to the results of digitization efforts, now over one-hundred manuscripts once in the property of King Matthias can be consulted online. 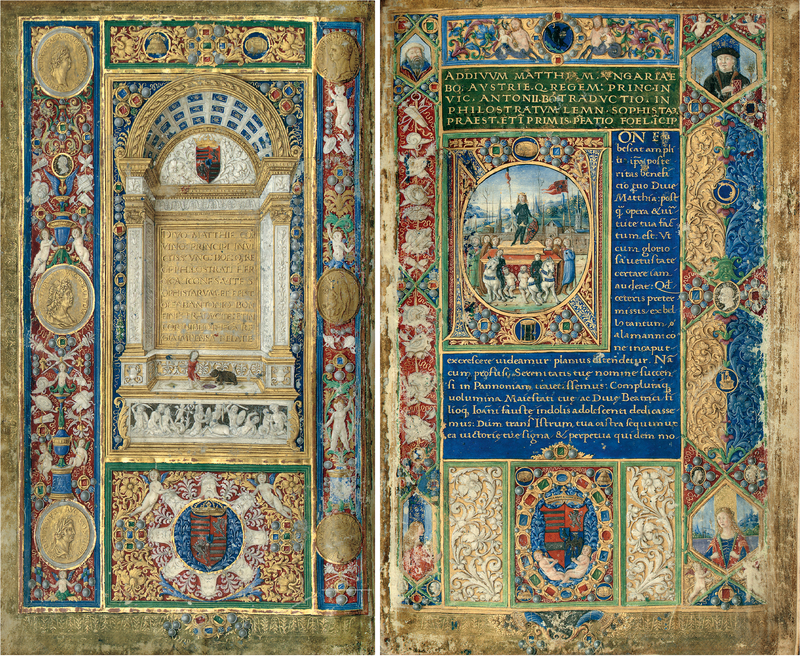 In the Villa I Tatti volume, Angela Dillon Bussi compares the library of Matthias with that of Lorenzo the Magnificent, while Jonathan J.G. Alexander writes about an Italian illuminator working in Buda, Francesco da Castello. Then follow the studies by Prokopp and Wierdl on Botticelli at Esztergom - the skepticism receiving their claims is already voiced in the editorial introduction to the volume (p. xxxii). The following studies deal with Renaissance architecture in Hungary - Péter Farbaky writes on the royal castle of Buda and the role of Chimenti Camicia, while Gergely Buzás provides a summary of his research concerning the royal palace of Visegrád. Árpád Mikó of the Hungarian National Gallery writes about the patronage of the Queen, Beatrice of Aragon. Perhaps the most important study is provided by one of the editors, Louis Waldman. Waldman provide completely new material on commissioning for King Matthias in Florence, based on a review of the primary sources. 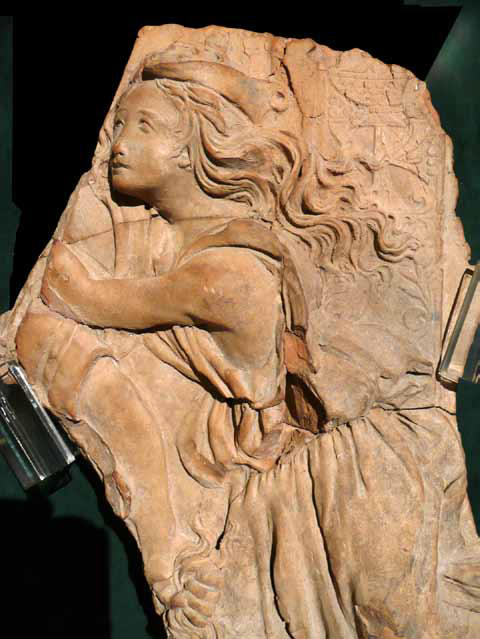 In this context, he also provides further proof for refuting the claims of Prokopp and Wierld concerning Botticelli. In the focus of the essay is Alexander Formoser, and agent of Matthias Corvinus in Florence. The last section of the book is dedicated to Italian renaissance sculpture at the Hungarian court. 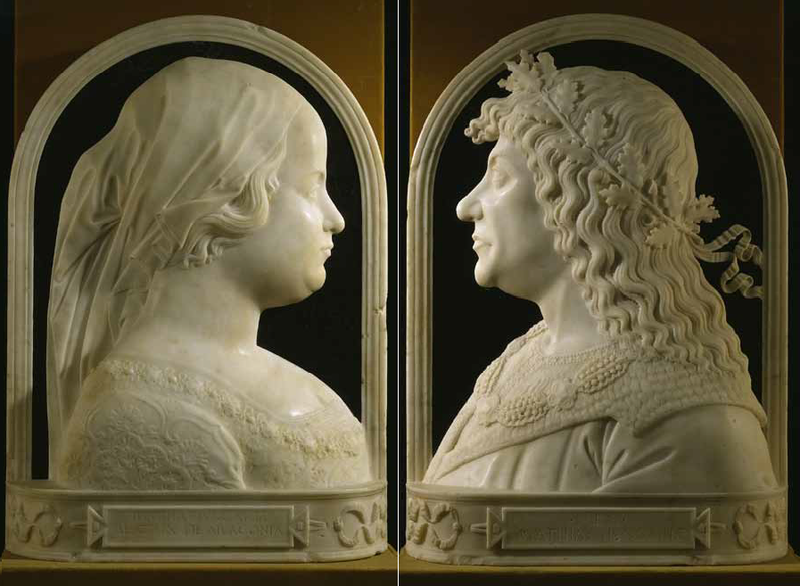 Francesco Cagliotti revisits the profile reliefs by Verrocchio sent to Matthias, while Dániel Pócs writes about the white marble fountain of Verrocchio, also sent to Buda. Alfrendo Bellandi gives an overview of the career of Gregorio di Lorenzo - identified not so long ago with the Master of the Marble Madonnas. Johannes Röll writes about perhaps the most important sculptor working for King Matthias: Giovanni Dalmata. The final essay, again by Waldman, focuses on the period after the death of Matthias, the Jagiellonian period. Overall, this volume provides a great overview of new research about Humanism and Renaissance art at the court of Matthias Corvinus. When taken together with publications from Hungary's Renaissance Year of 2008, these books now provide a full overview of the state of the field for the English-speaking audience as well. I would like to thank Villa I Tatti and its previous and present Assistant Directors for Academic Programs, Louis A. Waldman and Jonathan K. Nelson, for providing a review copy of the book. These parts are very similar to the technical devices of the private palace of Paul II, the Palazzo Venezia, which was built barely earlier. Oh I just cannot wait to have my time to study art in italy!